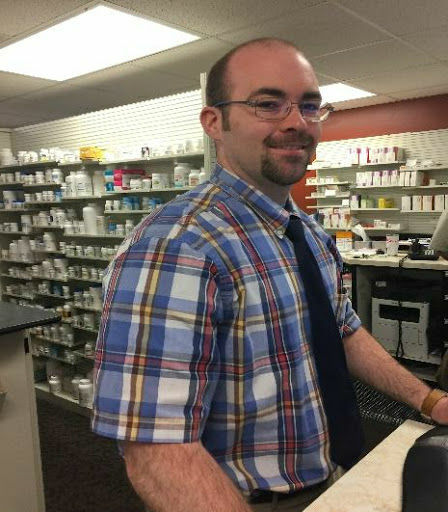 Josh is one of the newest Pharmacists here at Smith’s Drugs of Forest City. He just joined the staff in May of 2018. Josh graduated high school from East Rowan High School in Salisbury, NC before attending the University of North Carolina School of Pharmacy where he obtained his Doctor of Pharmacology in 2012. He has worked as both a Staff Pharmacist and Pharmacy Manager for CVS and is the winner of their 2016 Paragon Award. When he’s not working, Josh enjoys spending time with his “beautiful wife and 4-year-old twins.” He also enjoys working in the yard, exercising and meal planning. Stop by to see Josh the next time you have a Pharmacy question. He’d love to meet you!